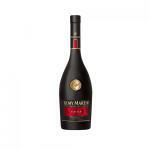 Remy Martin delivers the Rémy Martin V.S.O.P. Mature Cask Finish (£26.93), a cognac from France with 40% of alcohol. The Uvinum community values the Rémy Martin V.S.O.P. Mature Cask Finish with 4,2 of 5 points being viewed with peñín: 91. Rémy Martin V.S.O.P. It is smooth, complex, yet balanced, and perfectly mature. A classic and the cognac houses bestseller. - Smell: the nose is appreciated for its sweetness with notes of honey, vanilla and oak. Are denoted flowers and spices. 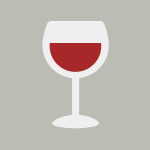 - Taste: The palate is spicy with fruity notes of nectarine, plum and floral. A final acidic fruit and honey. - The new expression of Remy Martin VSOP comes from the finishing period of the eaux-de-vie that takes place after the final blend, at the end of the ageing process. 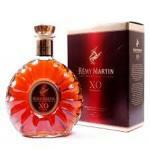 Rémy Martin V.S.O.P., excellent en long drink. I had the "mature cask" ... The new Rémy Martin VSOP from home? 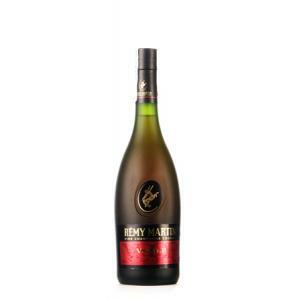 If you want to buy Rémy Martin V.S.O.P. 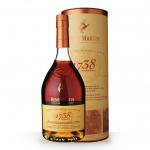 Mature Cask Finish, at Uvinum you will find the best prices for Coñacs Remy Martin. Purchase it at Uvinum at the best price, fast, easy and 100% safe. We offer more than 59.000 products for sale which makes us the leading marketplace for wine, beer, and spirits in Europe thanks to more than 38.000 customers who trust us.